Buy Traci York a Coffee. ko-fi.com/traciyork - Ko-fi ❤️ Where creators get paid by fans, with a 'Buy Me a Coffee' button. Hi! 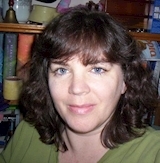 My name is Traci (InternetG33k to some), and I'm a writer, a Tarot card reader, a witch, a geek, and shutterbug. I've joked for years I would gratefully accept all offerings of coffee, chocolate, and vodka. Recently someone suggested I add this button to my blog so people could drop a few dollars in my PayPal account, and I could make it happen. All proceeds will fuel future blog posts. For those unfamiliar with how this works, simply scroll down to where it says, "Buy a Coffee for Traci York," choose how many cups you'd like to give me (at $3/cup) , then click "Support Traci York." It will then bring you to PayPal, where you can use your account or card to pay. Thanks, and bright blessings to you! Secured Payments. Support goes to Traci York's account. Upgrade Traci York to a yearly Gold Membership with a one-time payment.